You are currently viewing Archived reports for the week of 30 December-5 January 2010. An explosive eruption from Galeras detected by the seismic network on 2 January prompted INGEOMINAS to raise the Alert Level to I (Red; "imminent eruption or in progress"). An ash plume rose to an altitude of 12 km (39,400 ft) a.s.l. and drifted W and NW. Ashfall was reported in areas downwind, as far away as 110 km W. Ejected incandescent blocks fell onto the flanks 3.2-3.5 km away from the summit and ignited fires. An overflight on 3 January revealed diffuse gas plumes from the main crater. Fires started the previous day continued to burn on the N flank. The Alert Level was lowered to II (Orange; "probable eruption in term of days or weeks"). 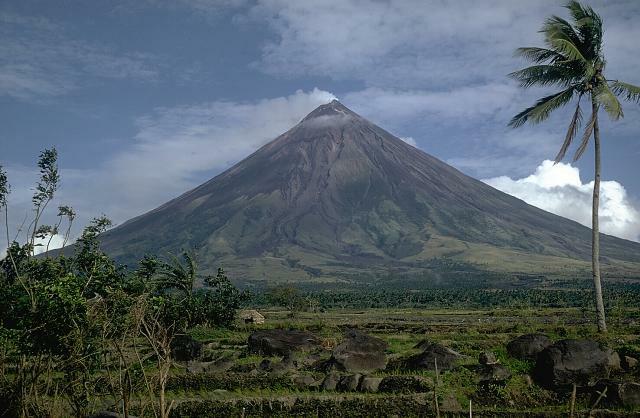 PHIVOLCS reported declining activity at Mayon from 28 December to 2 January. Steam plumes were emitted from the crater, but ash plumes were last seen on 29 December. 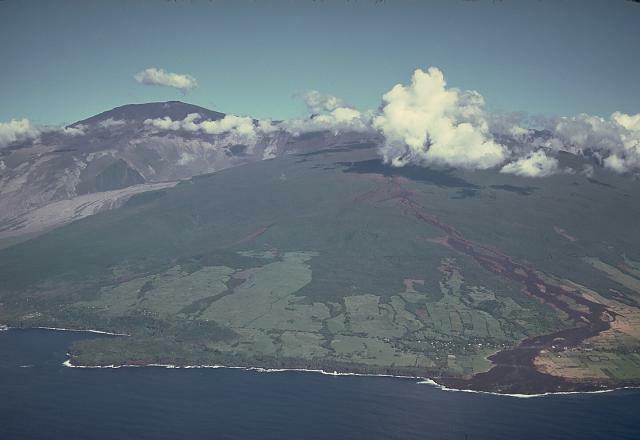 In addition, the majority of the seismic signals originated from rockfalls and detached lava fragments rolling down the flanks from advancing lava flows. Sulfur dioxide emissions also decreased from close to 9,000 tonnes per day to about 2,600 tonnes per day. PHIVOLCS lowered the Alert Level from 4 to 3, and reminded the public that no human activity should occur within the 6-km radius Permanent Danger Zone (PDZ) around the volcano and the 7-km Extended Danger Zone (EDZ) on the SE flank. During 2-5 January, seismic activity indicated rockfall events related to the detachment of lava fragments at the upper slopes. Cloud cover at the summit prevented observations of steam plumes. Incandescence from the crater at night was noted. According to news articles, Nyamuragira erupted on 2 January from a fissure on the SE flank. Park rangers reported hearing a loud explosion in the early morning before seeing flowing lava. By 3 January, the lava flow had traveled 4.6 km, was 15 m wide, and had burned about 10 hectares of forest in a non-populated area of the Virunga National Park. OVPDLF reported that a seismic crisis at Piton de la Fournaise on 29 December was characterized by numerous earthquakes in the area W and NW of Dolomieu crater (max M 3), at depths of 1.1-2.2 km below the summit. Deformation was also detected. 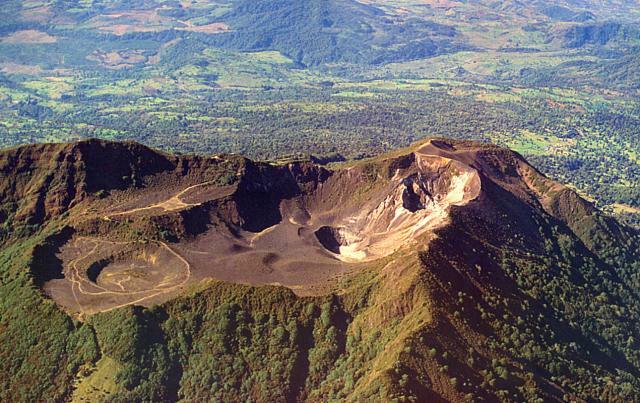 On 31 December, OVPDLF reported decreased seismicity and fewer landslides within Dolomieu crater on 30 and 31 December. On 2 January, an eruption from a fissure near the top of the W crater rim, preceded by a seismic crisis, produced lava fountains a few tens of meters high and lava flows in Dolomieu crater. Large landslides in Bory crater (W) along with the fissure eruption generated ash and gas plumes that rose above Piton de la Fournaise. During 2-3 January, seismicity and the number of landslides decreased. 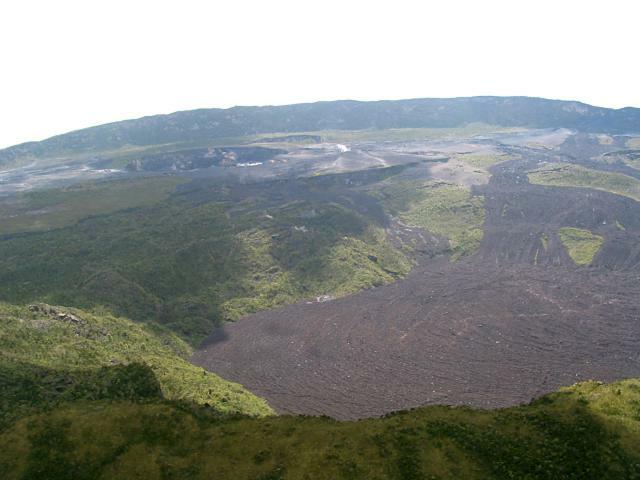 As of 4 January, the lava flows covered about 80 percent of the crater floor. Lava fountaining was still visible. 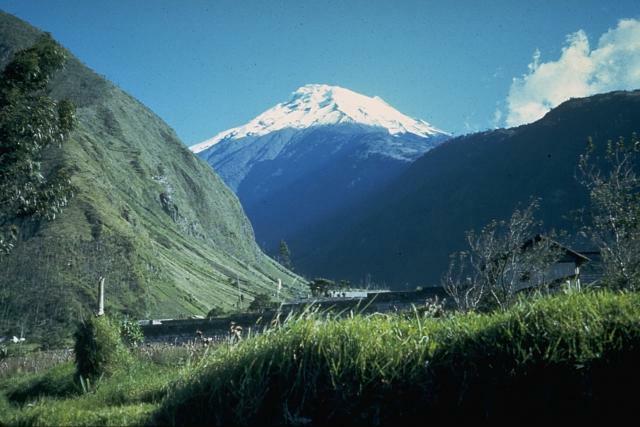 The IG reported steam emissions from Tungurahua during 30 December-3 January. On 1 January, an ash plume rose to an altitude of 5.9 km (19,500 ft) a.s.l. and drifted NW. Slight ashfall was reported the next day in Manzano, 8 km SW. Roaring noises and incandescence from the crater were also reported. 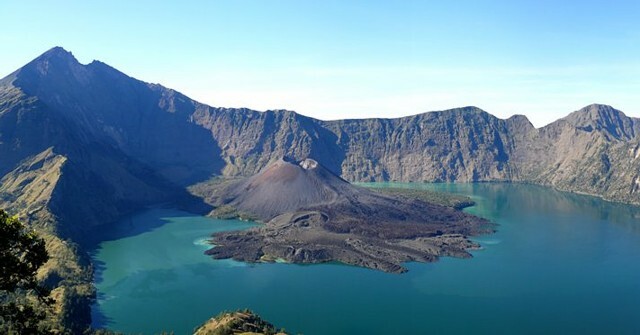 On 3 and 4 January, incandescent blocks were ejected from the crater. Based on information from the Guayaquil MWO and SIGMET notices, the Washington VAAC reported that ash plumes rose to altitudes of 6.7-9.1 km (22,000-30,000 ft) a.s.l. and drifted W. Thermal anomalies were detected in satellite imagery. 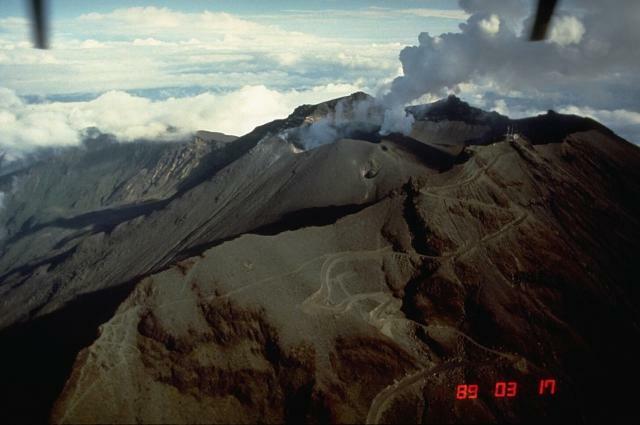 On 4 January, ashfall was reported in areas to the W and SW.
On 5 January, OVSICORI-UNA reported that an eruption from Turrialba produced ashfall in local areas, particularly in areas to the SW, including near Irazú volcano (11 km SW). According to news articles, about 20 people evacuated the area. Based on information from JMA, the Tokyo VAAC reported that during 30 December-5 January multiple explosions from Sakura-jima often produced plumes that rose to altitudes of 1.2-2.7 km (4,000-9,000 ft) a.s.l. and drifted NE, E, SE, and S. During 31 December-4 January pilots reported that ash plumes rose to altitudes of 2.4-5.5 km (8,000-18,000 ft) a.s.l. and drifted SE and E.
Based on web camera views, the Buenos Aires VAAC reported that a plume from Chaitén's lava-dome complex drifted SE on 30 December at an altitude of 2.1 km (7,000 ft) a.s.l. KVERT reported that a thermal anomaly over Karymsky was detected in satellite imagery during 24-26 and 29-30 December. 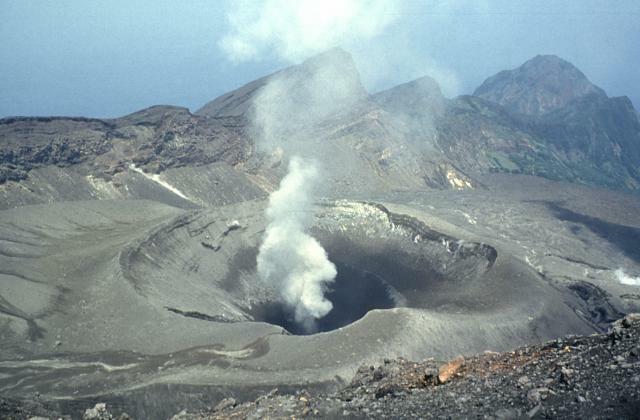 Gas-and-steam bursts were seen by volcanologists on 28 December. The Level of Aviation Color Code remained at Orange. During 30 December-3 January, HVO reported that lava flowed SE from beneath Kilauea's Thanksgiving Eve Breakout (TEB) and rootless shield complex through a lava tube system, reaching the ocean at Waikupanaha. Lava was not seen entering the ocean on 4 and 5 January. Thermal anomalies detected by satellite and occasional visual observations revealed active lava flows on the pali. Incandescence was seen almost daily coming from Pu'u 'O'o crater. 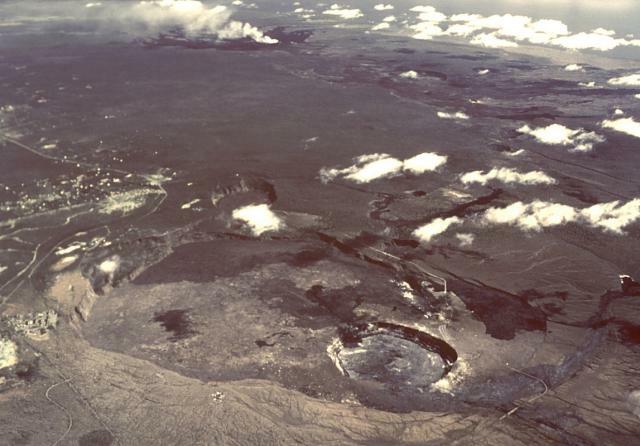 During an overflight of Pu'u 'O'o crater on 29 December, geologists saw that a part of the high point of the W rim had collapsed, and a new gas vent had opened up at base of the N wall. The vent in Halema'uma'u crater continued to produce a plume that drifted NE and NW, dropping small amounts of ash, and occasionally fresh spatter, downwind. Incandescence originated from an active and sometimes sloshing lava surface within an opening on the deep floor of the vent cavity. 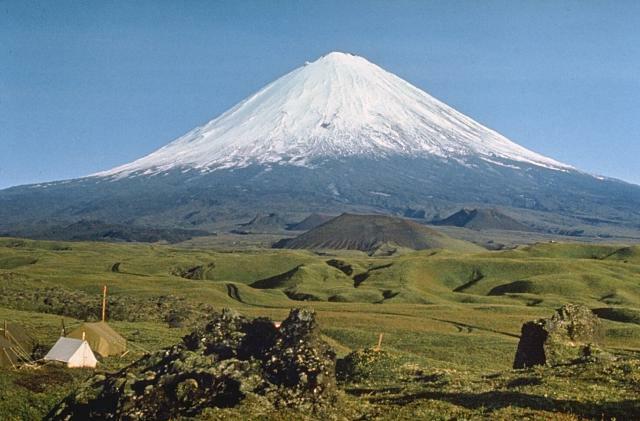 KVERT reported that during 24-31 December seismic activity from Kliuchevskoi was above background levels and lava continued to flow down the ESE flank. Strombolian activity ejected material 500 m above the crater. Satellite imagery revealed a large daily thermal anomaly at the volcano. The Level of Aviation Color Code remained at Orange. 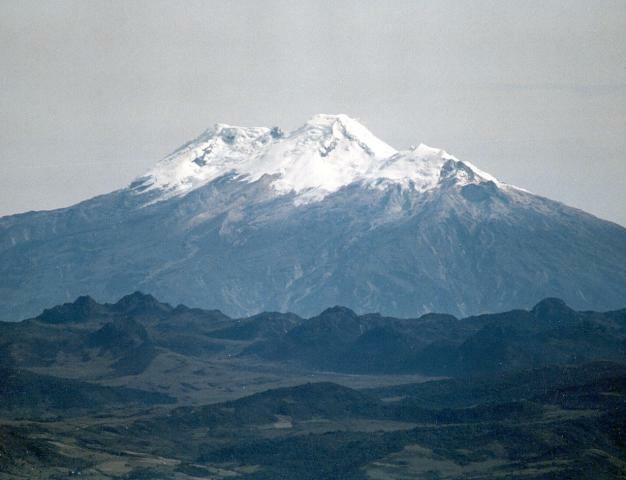 Based on web camera views, INGEOMINAS reported that during 23-29 December a continuous white plume from Nevado del Huila rose 1 km. The output of sulfur dioxide was less than during the previous months of October and November. Seismicity and the rate of lava extrusion had also decreased during the previous weeks. On 5 January, INGEOMINAS lowered the Alert Level to III (Yellow; "changes in the behavior of volcanic activity"). 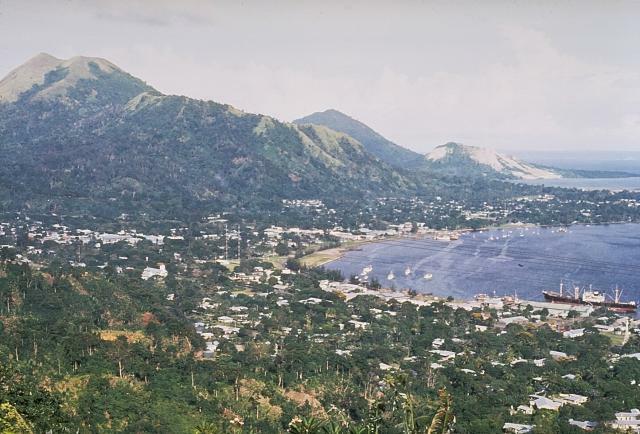 RVO reported that activity from Rabaul caldera's Tavurvur cone was at a low level during 21-31 December; no emission from the crater was observed on most days. White steam plumes accompanied by blue plumes were occasionally emitted. On 23 December, ash emissions rose less than 200 m above the cone. Based on analyses of satellite imagery, the Darwin VAAC reported that on 31 December an ash plume rose to an altitude of 2.4 km (8,000 ft) a.s.l. and drifted less than 30 km SE. 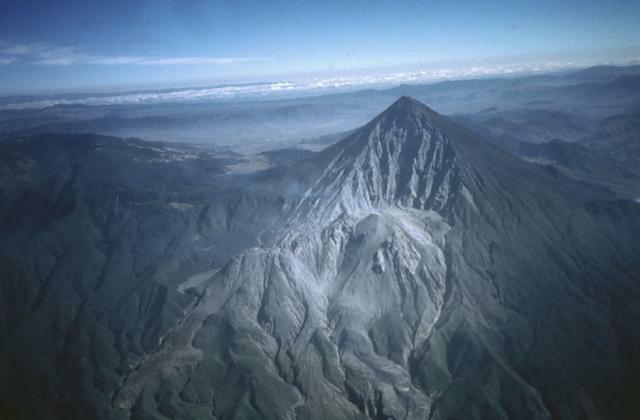 On 30 December and 5 January, INSIVUMEH reported that explosions from Santa María's Santiaguito lava dome complex produced ash plumes that rose to altitudes of 3-3.4 km (10,000-11,200 ft) a.s.l. and drifted W and SW. The Washington VAAC reported that ash plumes seen on satellite imagery drifted more than 30 km WSW. 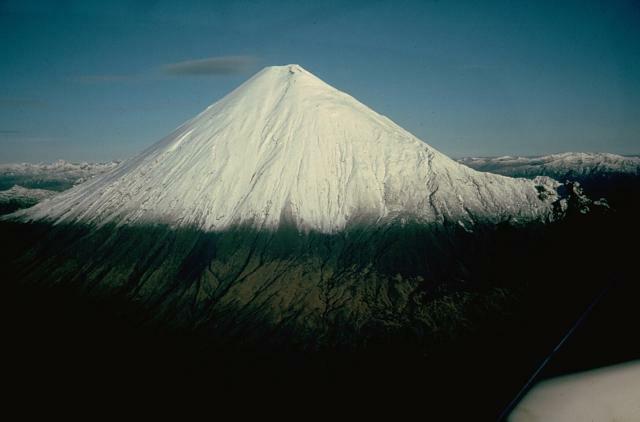 Avalanches occasionally descended the SW flank of the dome. 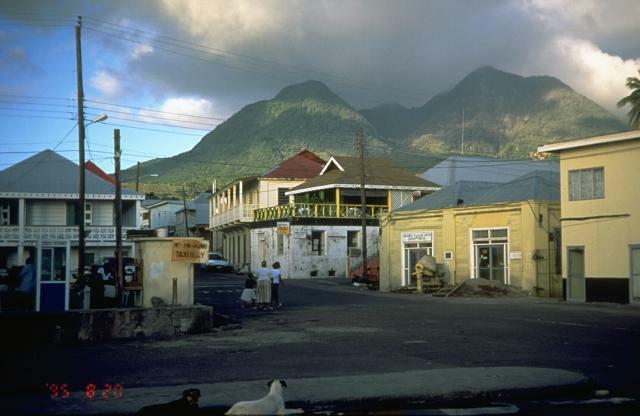 MVO reported that during 24-31 December activity from the Soufrière Hills lava dome continued at a high level. 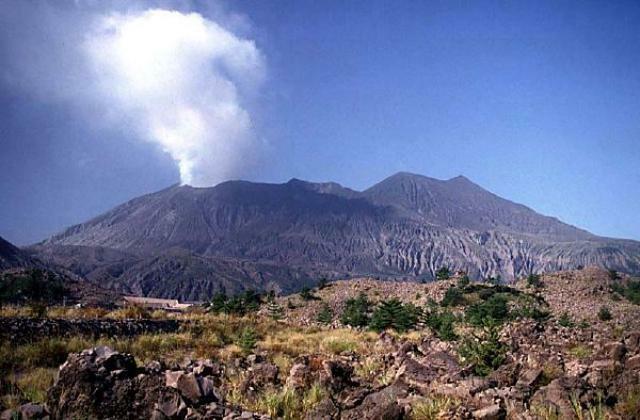 Cycles of increased activity associated with vigorous ash venting and pyroclastic flows occurred every six to eight hours. Audible rockfalls, roaring, and occasional thunder were noted during the most intense events. 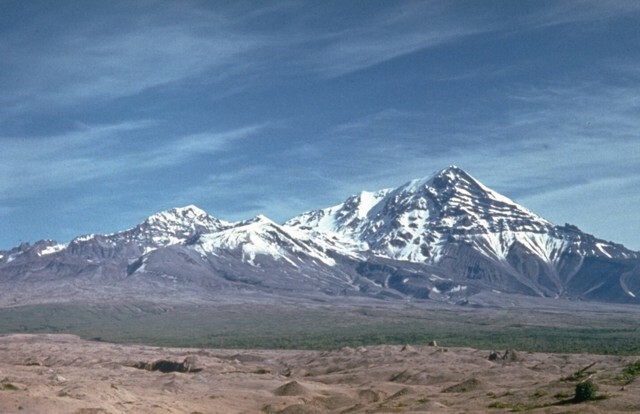 Frequent pyroclastic flows traveled N down Whites Ghaut, Farrells plain, and Tyers Ghaut. Pyroclastic flows also traveled W down Gages Valley into Spring Ghaut, and occasionally to the S in Gingoes Ghaut. 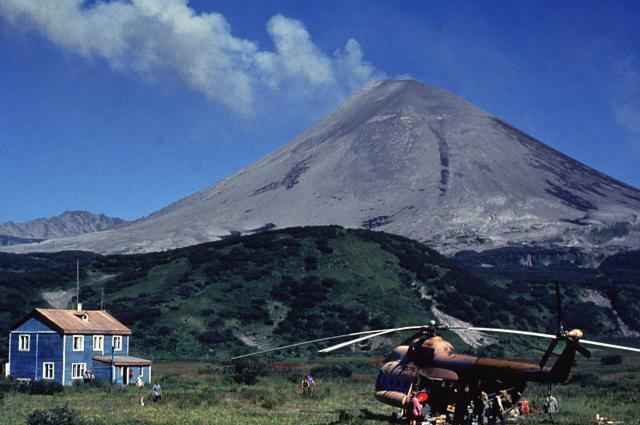 On 29 December several pyroclastic flows traveled 2.5 km, reaching Dyers village. 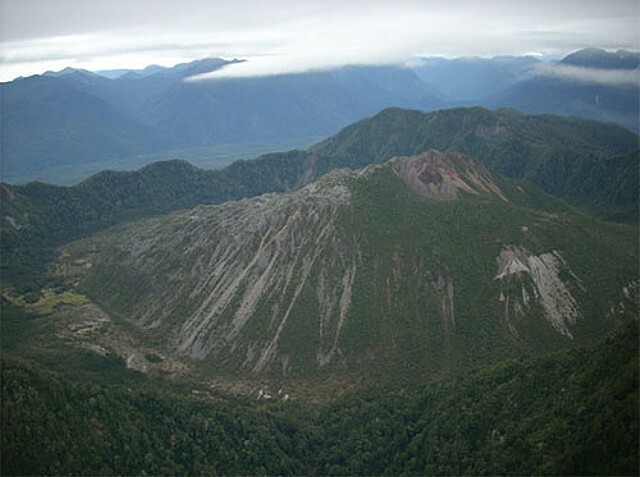 A comparison of photographs from 30 December and 2 January revealed that the lava dome morphology had changed rapidly, with a significant addition of lava on the N side. The additional area of growth was approximately 60 m high and 100 m wide. The Hazard Level remained at 4. Based on information from JMA, the Tokyo VAAC reported explosions from Suwanose-jima during 30 December-2 January and 4-5 January. 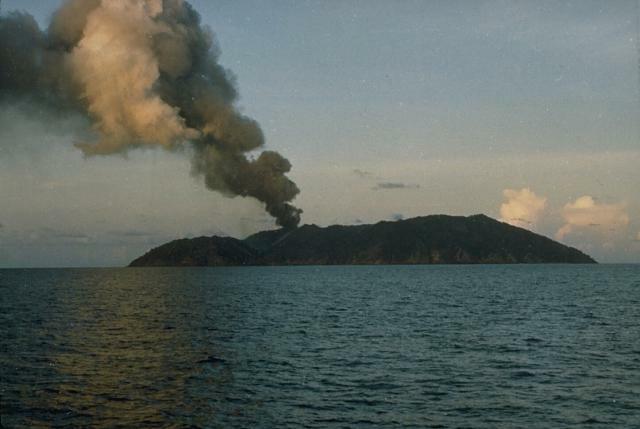 Plumes rose to altitudes of 1.5-1.8 km (5,000-6,000 ft) a.s.l. on 2 and 4 January, and drifted NE and E on 4 January.